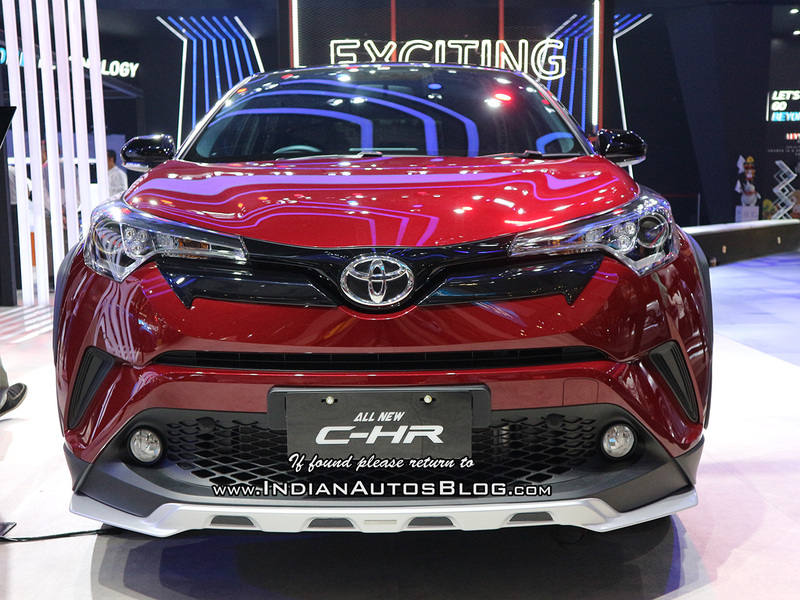 Toyota Astra Motor showcased the Toyota C-HR with TRD parts at the GIIAS 2018 last week. The compact SUV recently went on sale in Indonesia priced from IDR 488 million to IDR 490 million (INR 23.23 lakhs to INR 23.32 lakhs). For the Indonesian market, Toyota offers a 1.8-liter petrol engine paired to a CVT. The hybrid is not available in Indonesia currently. As part of the TRD kit, the C-HR features a dual-tone colour scheme with a black contrast roof on the red body and adds front and rear skid plates in silver, bootlid spoiler, a grille garnish, prominent black overfenders, 17-inch gloss black wheels and a plastic garnish between the rim spokes. The TRD accessories, complete with the badging on the bootlid and rear door, costs around INR 1.5 lakhs. 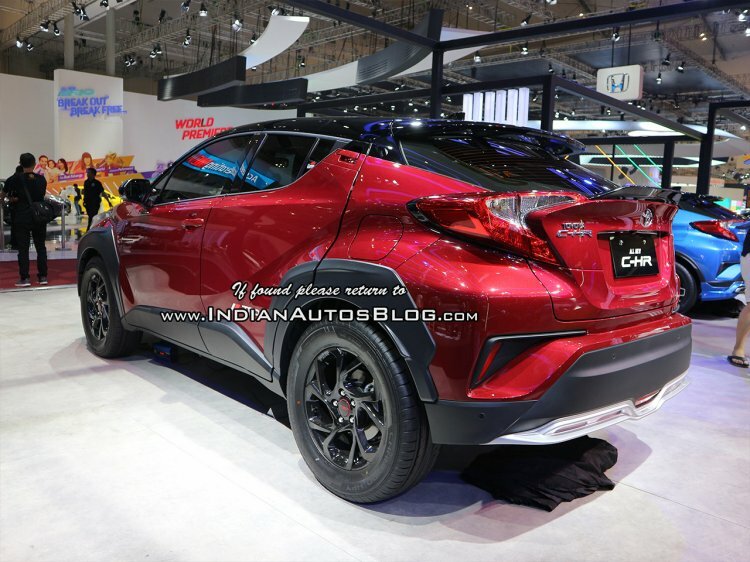 For the Indonesian and other ASEAN markets, the Toyota C-HR is manufactured at Toyota Motor Thailand’s Gateway plant in Chachoengsao. There is a single engine option available in Indonesia - the 2ZR-FBE naturally aspirated 1.8-liter Dual VVT-i petrol engine that makes 140 PS and 175 Nm of torque, and paired to a CVT with 7 stepped ratios. Other ASEAN markets also get the option of a 1.8-liter hybrid variant which sees an electric motor with 72 hp and 163 Nm assist the Atkinson cycle engine. The Toyota C-HR hybrid claims a fuel economy of 24.4 km/l. Though the C-HR has been spied in India, TKM has no plans to launch this model in the country. Though the Toyota C-HR has been spied on Indian roads, Toyota has no immediate plans to launch the compact SUV in the market. The prototype is likely being tested by a component manufacturer. Toyota's immediate plans for the Indian market revolve around using Maruti Suzuki products to fill out product gaps. The Maruti Baleno will be the first to get a Toyota look and badge, followed by the Maruti Vitara Brezza.